In my previous article on this blog, we talked about how to use mirrors smartly, thus to creat a more 'spacious' home, even the house you owned is very small....because home is the haven of dreams, owning a warm home is everyone's dream, even if it is small. To make a geometric mirror screen, and create it into lattice shapes, so the mirror is beautiful and the same time functionalas containers. 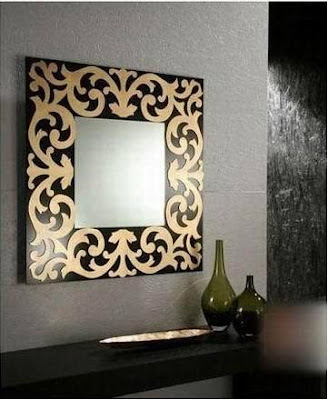 A mirror frame in different style can bring out different feelings. 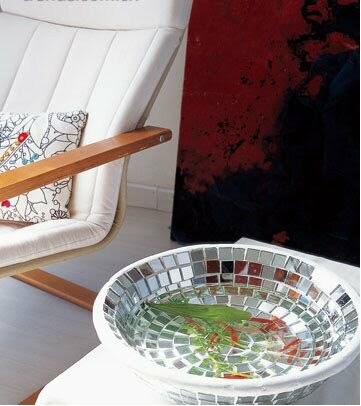 In fact, here several mirrors we introduced you can apply with old mirrors and DIY it yourself. 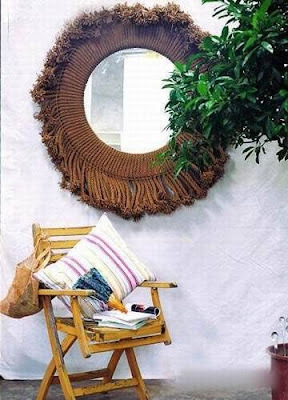 Here in the picture the mirror was created out with ropes. 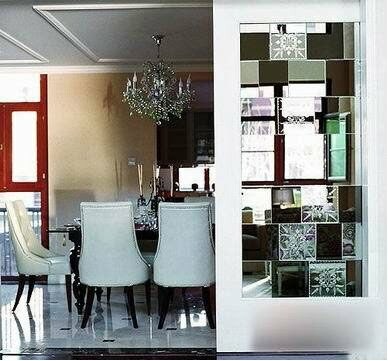 As wall sticker become a fashion of wall, you can do the wall decoration with mirrors yourself easily. Here in the picture the mirror frame is decorated with wall stickers in Chinese paper-cut style. Let’s continue to talk about old mirrors, if you prefer to DIY, even the broken pieces of a mirror can also been used to create a work of art! 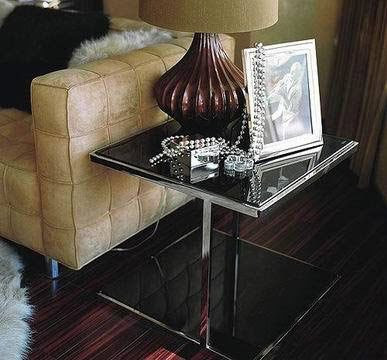 A whole piece of old mirror in a rather complete condition can be affixed to the desktop directly, if you place a crystal table lamp or an antique candelabra on the table, with such a radiant look, the visual effect will be better! How? Try it quickly!